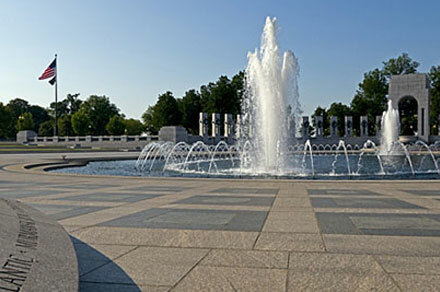 The National World War II Memorial opened to the public in 2004, after three years of construction and 17 years of planning. The memorial occupies the former site of the Rainbow Pool on the National Mall and consists of several elaborately encoded components. Surrounding a fountain retained from the Rainbow Pool are: a wall of 4,048 stars, each representing 100 American soldiers who died in the war; two massive arches, one dedicated to the Pacific theatre and one the Atlantic; and 56 pillars engraved with the 48 states and various territories that contributed soldiers to the U.S. war effort. The site spans almost seven and a half acres, and more than 4 million people visit it each year. 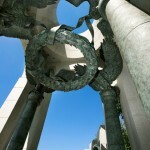 Although the Memorial serves principally to honor those who gave their lives, their health, or their loved ones during World War II — in particular the 16 million who served and the countless civilians who supported the troops from home — the site is not a somber one, and it functions also as a celebratory reminder of the American people’s capacity for great, communal sacrifice. 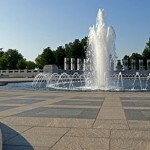 The WWII Memorial is operated by the U.S. National Park Service, and no fees, tickets, or registrations are required. If you’re coming as part of a very large group or have an unusual or involved activity planned, check with the Park Programs office at: 202.619.7225. For more information, visit: www.nps.gov/nwwm or www.wwiimemorialfriends.org. Hours: 24 hours a day, 7 days a week. Rangers are available to answer questions 9:30 a.m. to 11:30 p.m. every day. Parking: Visitor parking is available along Ohio Drive, SW, south of the Lincoln Memorial, or in Lots A, B, and C, south of the Jefferson Memorial. Spots are limited, though, so as always, public transportation is preferable. Metrorail: Nearby stops include Smithsonian on the Mall near 12th Street, SW, and Federal Triangle near 12th Street between Pennsylvania and Constitution Avenues., NW. How many people visit the memorial every day?? 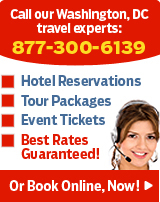 I would like to visit the Smithsonian, National Mall, National Air and Space Museum, and the National WW2 Memorial. As I am visiting from Australia I am not sure what is open and what is not. Please help. (2013) The Federal Government shutdown closed many popular tourist attractions, but there are still plenty of things to do. We have a post listing what is open and what is closed during this time. You can read it here.